The London Organising Committee of the Olympic Games and Paralympic Games (LOCOG) announced that the Royal Mint would produce around 4,700 victory medals at their headquarters in Llantrisant, South Wales, for the London 2012 Olympic and Paralympic Games. This of course included the table tennis medals which were awarded to the first three places in the men's singles, the women's singles, the men's team event and the women's team event. So what did people say at the announcement? "We're delighted to be working with the Royal Mint, a company established in the UK for 1,100 years, to produce the London 2012 victory medals. The Olympic and Paralympic medals are presented to elite athletes at the biggest sporting events in the world - a moment which represents the pinnacle of their career and we're pleased to announce that they will be produced in South Wales." "As a UK manufacturer, this is great news for the country, the 800 people we employ and our suppliers." 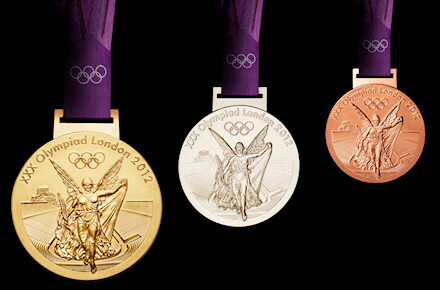 So what did they say the 2012 Olympic Games medals would look like? The gold, silver and bronze medals, which are awarded to athletes in the London 2012 Victory Ceremonies watched by a worldwide audience, would be designed by a UK-based artist. 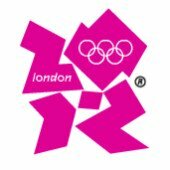 LOCOG said that they were short-listing invited artists and an announcement on the chosen design would be made in the summer of 2011. So how did the deal between LOCOG and the Royal Mint arise? The deal between LOCOG and the Royal Mint was signed following a competitive tender process. 98% of contracts awarded by LOCOG and the ODA went to businesses based in the UK. LOCOG's Games-time procurement process saw £700m worth of contracts awarded before the summer of 2012. The London 2012 Olympic Games medals were unveiled to the world at a special ceremony in Trafalgar Square, London on 27 July 2011 which marked the start of the one year countdown to the London 2012 Olympic Games. Weighing in at 400g (0.88lbs) the medals were 85mm (3.35in) in diameter and 7mm (0.28in) thick, and were the largest Summer Olympics medals ever produced. The individual sport and discipline were engraved onto the rim of each medal. More than 2,100 Olympic medals were presented in 302 Olympic victory ceremonies in more than 30 venues over 16 days of competition. The Olympic medals were designed by British artist David Watkins who is an established artist in the field of decorative art and they went into production in late 2011 at the Royal Mint's headquarters in Llantrisant, South Wales. So how was British artist David Watkins chosen as the designer? Artists were invited to tender by the London Organising Committee of the Olympic Games and Paralympic Games (LOCOG), having been chosen by arts bodies from across the UK and a panel made up of experienced creative leaders and sports representatives. LOCOG also worked closely with the British Museum's Keeper of Coins and Medals, Philip Attwood, to look at the symbolic history of medals in Europe in the last century, and in particular, medals that held stories that travelled symbolically from the front of the medal to the back. Six artists were subsequently selected for the second stage of design and development and asked to develop their designs to create a narrative that went from front to back. From this, the panel felt that David Watkins' design befitted the athletes achievements with its jewel like depiction of the logo clearly defining the arrival of sport and the Games in London. "It is exciting to think that the finest athletes in the world will be wearing my medal design. Its key symbols juxtapose, front and back, the goddess Nike for the spirit and tradition of the Games, and the River Thames for the city of London. 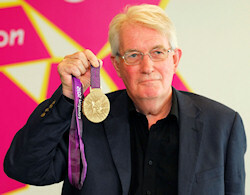 I hope the medal will be enjoyed and treasured as a record of great personal achievements in 2012." The Olympic medals' circular form is a metaphor for the world and the front of the medal always depicts the same imagery at the summer Games - the Greek Goddess of Victory, Nike, stepping out of the Parthenon to arrive in the Host City. 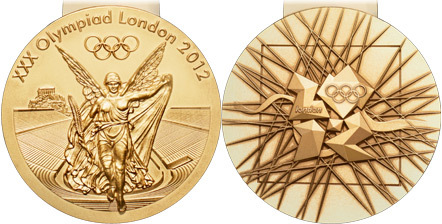 So what did people say about the 2012 Olympic Games medals designs when they were launched? "I hope that seeing the design of the London 2012 Olympic medals will be a source of inspiration for the thousands of athletes around the world who are counting down the year before they compete at the greatest show on earth. All of our preparations are focused on ensuring the athletes are at the heart of the Games, and I believe that through this rigorous process the panel of experts have selected an artist and a design for medals that all athletes would be proud to own." "Highlighting the effort and achievement of the athletes, as well as the city where the Games are held, these beautiful medals will be a fitting reward for the Olympic medallists of 2012. It is the pinnacle of a sporting career to become an Olympic champion but I am confident that receiving one of these medals will make it all the more special in London next year. Congratulations to LOCOG for creating a design that will inspire the Olympians of 2012."